As you might remember, gentle reader, I like to read a Christmas book about this time of year. This year, I chose this book because it was the first one I could find on my to-read shelves. The bottom of the cover indicates this is a Ballad novella; the author has written many best selling books in this series taking place in the eastern mountains of Tennessee, but you don’t need intimate knowledge of them to enjoy this book. It’s billed as a novella, but it’s really two unconnected stories in the Ballad mythos. The sheriff and a deputy are tasked with arresting a man in the backwoods on Christmas Eve for a hit and run accident that damaged the car of the wife of a Senator (hence the importance of arresting him on Christmas Eve amidst the threat of a heavy snowstorm). When they find what they think to be his home, he says he will go quietly if they just help prepare his home for his absence to make it safe for his wife. The second story deals with a couple of Floridians who have bought a second home that used to be the county’s best home, the place where an old judge and his family lived. They decide to stay for Christmas with their tacky Florida ways. When strange goings on go on, they come to Nora Bonesteel, an elderly local medium, to see if she can guess what is wrong. It seems a spirit of Christmas past is not pleased with a pink Christmas tree decorated with flamingos. On the plot lines, it’s pretty thin gruel, but the writing is dense and pretty enough to carry you along. Thematically, it’s a little light on the Christmas spirit, too, lacking any religious element of it or particular generosity of spirit. No real changes of heart or reunions of family. But pleasant enough. I saw one of the author’s Ballad novels on the mark down table at Barnes and Noble while Christmas shopping, and I didn’t grab one for $6. Perhaps I’ll grab one if I see it at a book sale in the future to see what happens in a non-Christmas themed novel from the author. 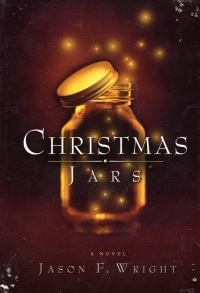 As you might recall, gentle reader, I like to read a Christmas-themed novel around Christmas time (see Christmas Jars, The Christmas Shoppe, and Home for Christmas). 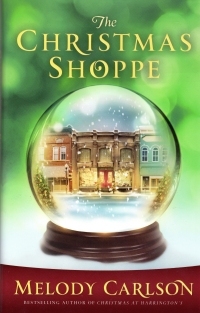 I bought this book at Christian Publisher’s Outlet this year along with a couple other Christmas novels because CPO is going out of business, and I won’t be able to go there for Christmas novels any more. 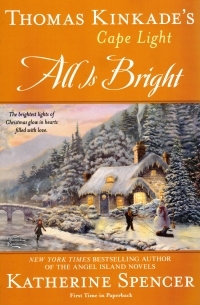 This book is one of a long series based in Cape Light, and the series is based on the paintings of Thomas Kinkade. I picked this first of the three books I bought because I just read this book based on the works of Kinkade (apparently, “just” in this context means three months ago). You know it’s only a matter of time before I have a Kinkade painting print hanging somewhere in my house. At any rate, the book itself tells two stories in parallel: In 1978, the new pastor of a church in Cape Light prepares for his first Christmas at the church while his in-laws are up from the south to see the daughter he took from them and his new baby and must deal with the arrest of the church treasurer for business financial irregularities. Meanwhile, in the present day, the pastor’s daughter, a recent widow, deals with her children and her son’s resistance to her dating his basketball coach. I kept hoping the two plotlines would come together, but they did not; all that they shared was Cape Light and the main characters 30 years apart. I wanted to enjoy the book more than I did. It’s a pleasant couple of slice-of-life stories, but it was just a little off in small details that I kept getting hung up on. For example, in 1978, we have this: “As he expected, the phone rang and rang. Ben was sure it was off the hook again.” Those of us who are old enough to know recoginze that a phone off the hook produces a busy signal, not ringing. Or the turn of phrase “The trustees meeting was fairly routine. Each year the churches of Ben’s particular sect of Protestantism were bound by charter to present an annual report of all activities to their members.” The word denomination would have fit better here; sect sounds like a term a non-Protestant would use. When describing what the pastor is wearing to service, it mentions his robes and his scarf; the Lutheran word is stole. And when the treasurer is in trouble and arrested, the pastor doesn’t intrude upon him in his moment of turmoil. Now, I’ve not been to the seminary myself, but I’ve been attentively attending church for a couple years, and this just doesn’t ring entirely true. So although I undoubtedly have destiny that includes one or more Kinkade paintings, I doubt I’ll revisit this series. This book was nice, but a bit off and a little disappointing in the Christmas payoff. 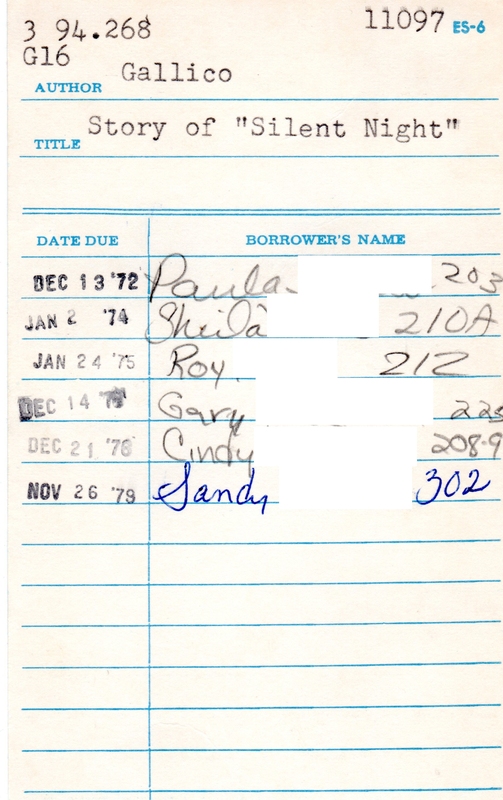 This book is a little remaindered book from the Hillcrest High School library. It didn’t have to travel far; Hillcrest is in Springfield. 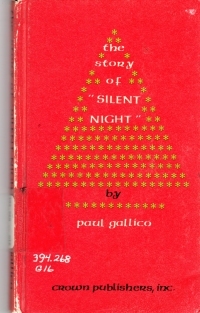 As the title indicates, it’s a little biography of the Christmas song “Silent Night”. It discusses how the two composers, a teacher with a guitar and an assistant pastor with a poem and an organ inoperative for the Christmas Eve service came together in a little Austrian town to compose it for one performance only. Some months later, a traveling organ repairman stuffed the sheet music in his pocket and shared it with some traveling singers, and the composition was attributed to anonymous or author unknown until one of the authors told the story some decades later. A nice little book. It might have gone on a bit long for the story, but it was an informative story that is helping me get ready for the Christmas season. How did it do as a library book? Better than The Medium Is the Massage. On this card, it was checked out for the first time when I was an infant and for the last time when I was seven years old. This book is not a romance novel. You are forgiven if you think it might be: It’s under 200 pages, its author has written 200 other novels in the stripe, and it features a simple story of people falling in love. 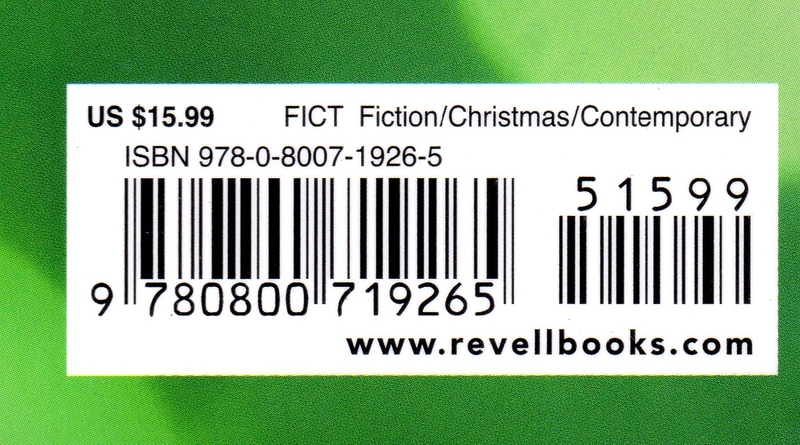 However, please note that this book is a Christmas novel, a genre I only recently discovered in the local Christian publishing bookstore at Christmas time. Its plot is simple: a strange woman comes to town, buys a building that a city councilman wanted, and plans to open some sort of business in it. The new town manager, the first woman to hold that position, is new in town and has to navigate the politics of the situation. The fortyish bachelor who runs the paper, the child of the founders and a man who dreams or dreamt of bigger things, tries to get the scoop. And other townsfolk talk and wonder about the stranger. It relies on a bit of Christian Stephen Kingery to teach valuable lessons and Christmas stuff to the characters. It’s lighter fare than Home for Christmas, and it’s supposed to be. It’s like beach reading for the snowtime. I don’t think I’ll read another in the genre until maybe next year at this time, but I can’t help but wonder if I might not be able to write something in it. If you like Holiday Inn, White Christmas, or The Bishop’s Wife, you’ll probably like this book. 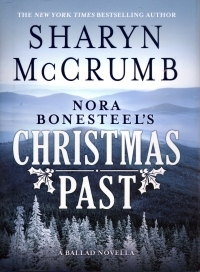 Written by a Lutheran minister in the heart of the depression, it recounts the story of a sister who retained the old farm when her parents died and her efforts to get her reluctant siblings–cosmopolitan and successful people now–to return to the farm to have a Christmas like they used to when they were children. She asks them to leave their children at home so they can do things the old fashioned way. It’s a nice little story, short at 118 pages, but a nice pseudo-Dickens. As it was written when and where it was, particularly dealing with rural Michigan instead of the big city, you have the residents driving cars, but some residents still with buggies. As you might recall, that was the way with rural communities even into the 1940s. Strange to think how late the complete changeover was, and how it happened without government bans.